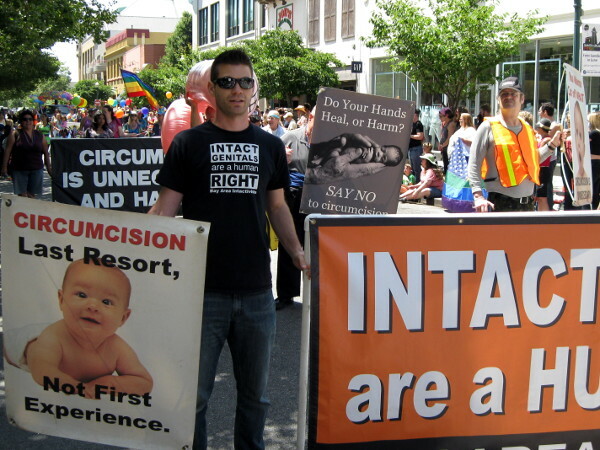 Those watching the 2013 Santa Cruz Pride Parade last Sunday may have caught a glimpse of Bay Area Intactivists, a local organization opposed to infant circumcision and other forms of non-consensual, non-therapeutic genital cutting. 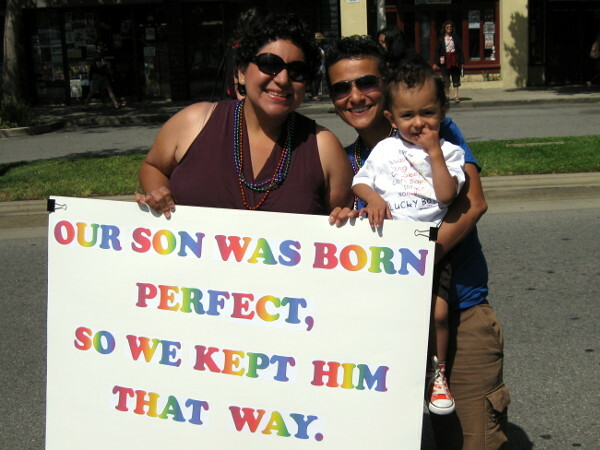 This was the second year in a row that this human rights group participated in the parade and once again the intactivists were met with an overwhelmingly positive response from the crowd. 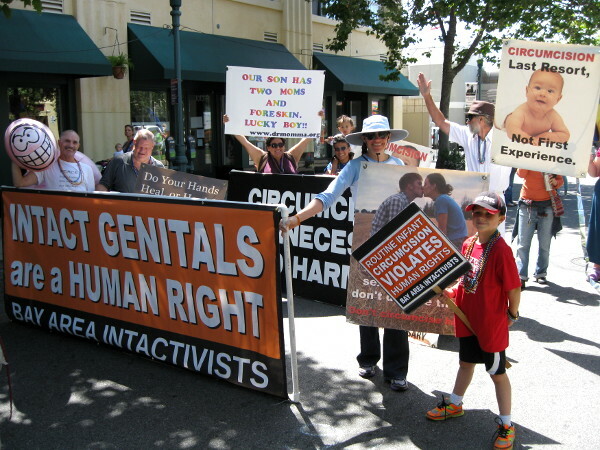 About a dozen men, women, and children in the Bay Area Intactivists contingent carried signs with messages such as "Circumcision is unnecessary and harmful" and "Whose body? Whose rights?" Bay Area Intactivists will also have a contingent in the upcoming San Francisco Pride Parade and welcome those who wish to march with them.